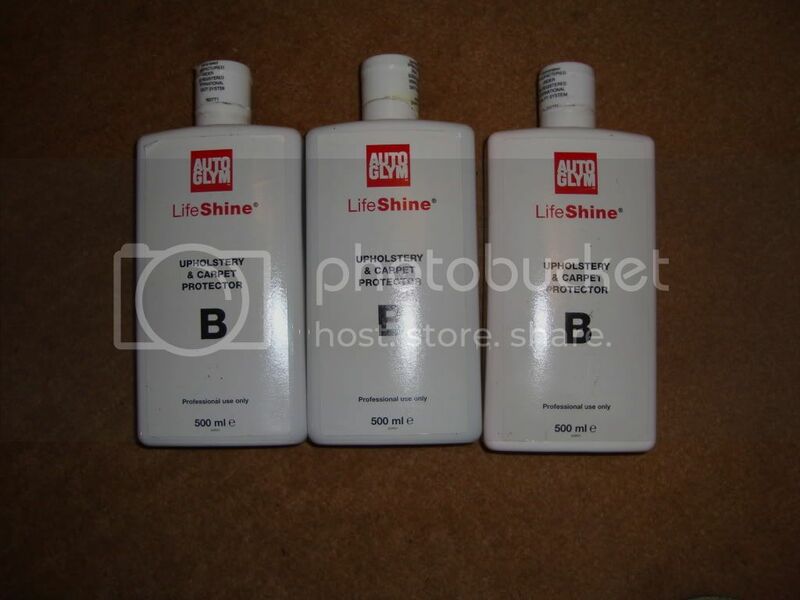 3 Bottles Autoglym 500ml, Upholstery & carpet protector B. Please Use The New FOR SALE CATEGORIES when listing an item for sale! got 3 bottles for sale i brought them a while back thinking i would actually get round to using them but nope so al 3 bottles are untouched haha OFFERS ? ? ? Last edited by kingsleysaywell on Mon Nov 30, 2009 2:28 pm, edited 1 time in total. Re: 3 Bottles Autoglym 500ml, Upholstery & carpet protector B.
ok could you not just put a spray lid on it?